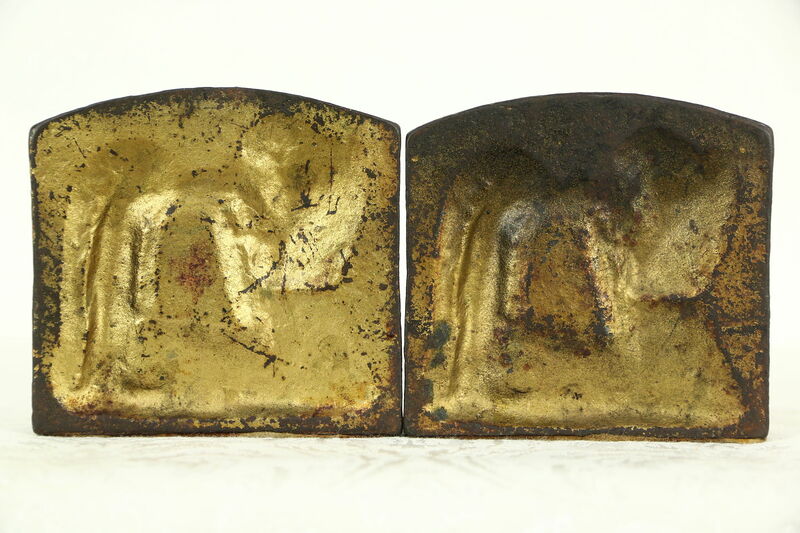 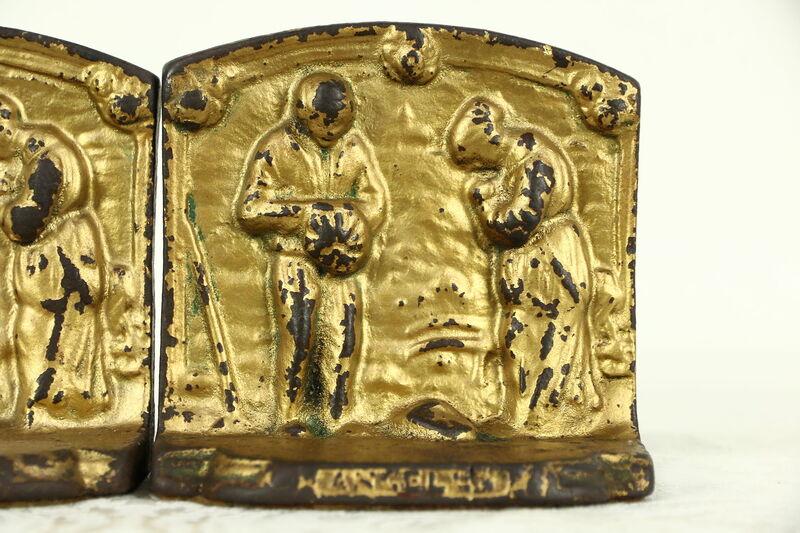 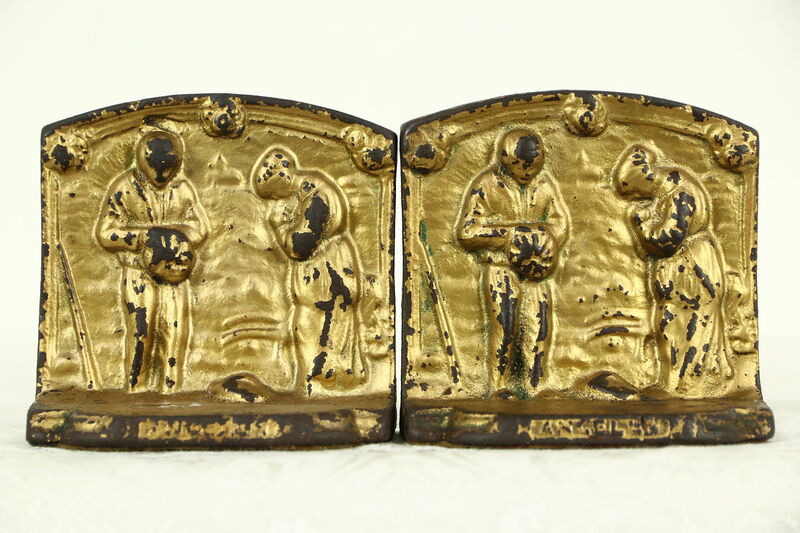 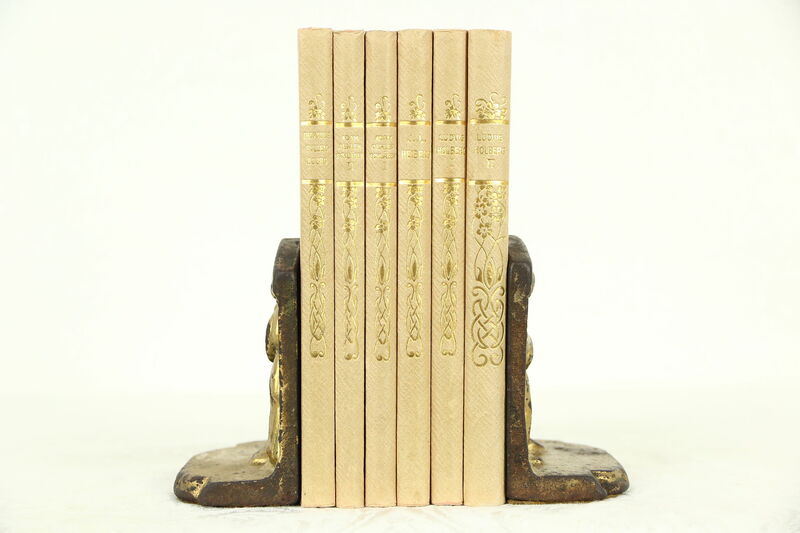 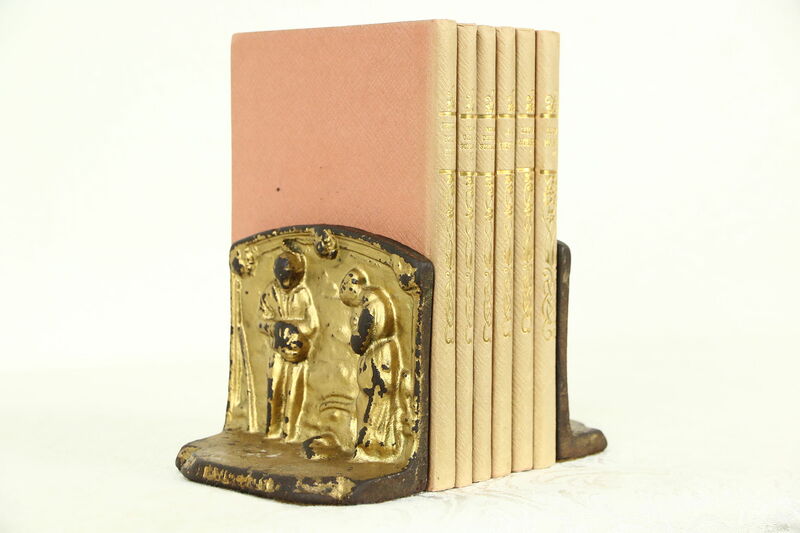 A pair of cast iron bookends are embossed with a couple praying the "Angelus." 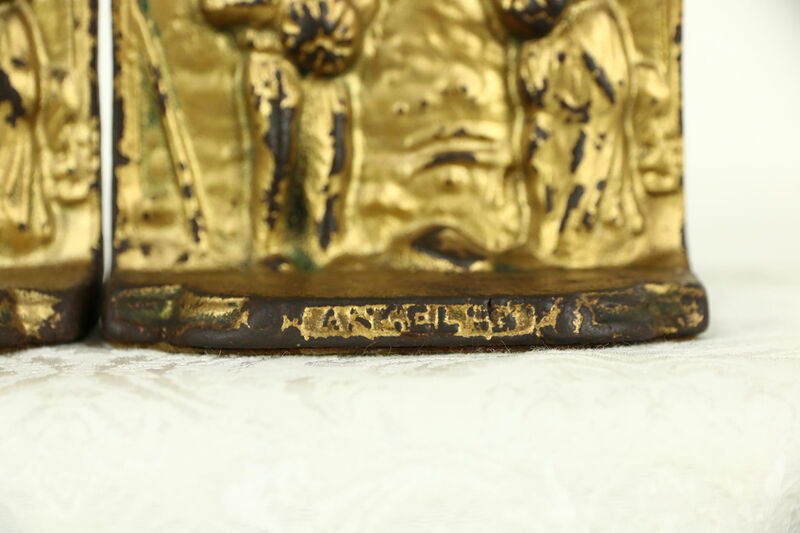 This traditional Catholic prayer at 6 AM, noon and 6 PM refers to the angel Gabriel revealing to Mary that she would conceive a child, the Son of God. 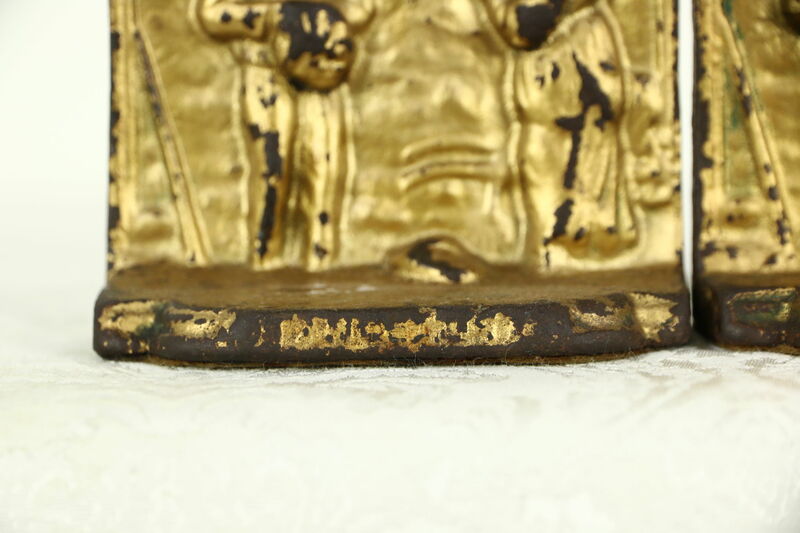 Dating from the early 1900's, the original bronze gilding is charmingly well worn, see photos. 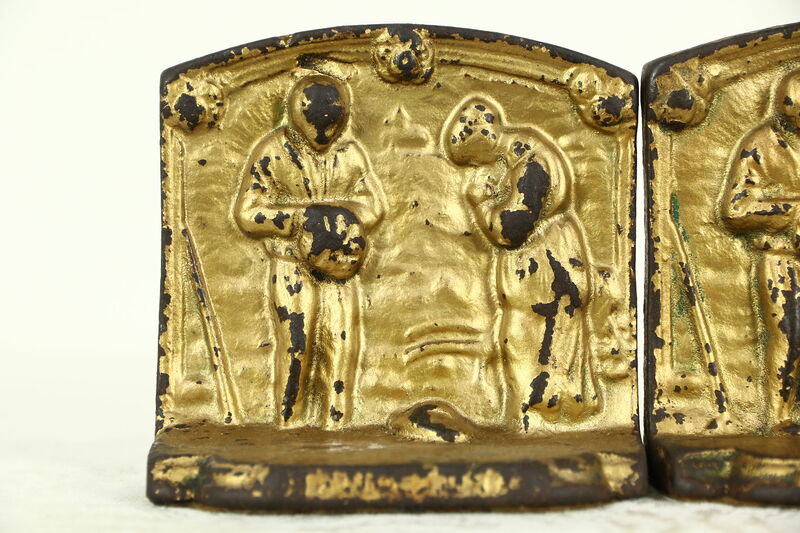 Size is 4 1/2" wide, 2" deep and 4" tall.